About Us - Thieman Quality Metal Fab Inc.Thieman Quality Metal Fab Inc.
Is a sub contract metal fabricating company offering a complete line of modern fabricating equipment. 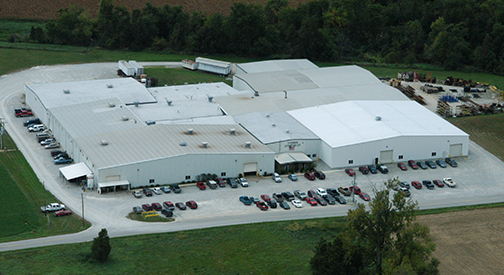 Our facility has the capability of handling light gauge sheet metal, plate up to 1″ thick, stainless, aluminum, and a wide range of structural products. We also assist our customers in prototype development of new products and run production quantities of products already engineered. Originally Thieman Stamping, our company was started in 1951 and at the present time covers 130,000 sq ft of manufacturing area. To represent our full line of expertise, in March 2013, we changed our name to Thieman Quality Metal Fab Inc. and also became a Women Business Enterprise. As true as it was in 1951, our team still prides itself in the quality of our products and the service we provide our customers. Thieman Quality Metal Fab Inc. has established a Quality Management System based on the policy of providing our customers with the best service possible. Our QMS is documented, implemented and maintained to be in conformance to ISO 9001:2015.